The part number for this item is: 60.1.037 and it fits: 1995-1999 Mitsubishi Eclipse FWD/AWD models. Optional: Add a set of 4 B&G Performance shocks. 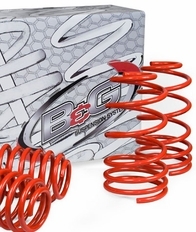 B&G Performance shocks, combined with B&G Performance Lowering Springs make for the complete suspension package. Matched spring rates and shock valving provide the ultimate in ride quality and performance. These shocks are built to perform and built to last, featuring a lifetime warranty.